Does anyone know what plant this is. Need information for taking a cutting or buying another. It may have been better if i had rotated it before posting ,sorry. 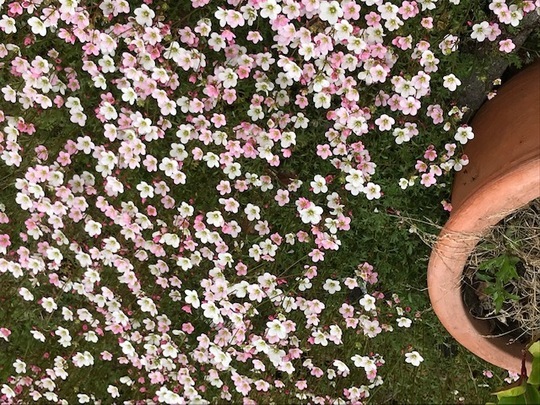 It would be classed as a 'Mossy Saxifrage' in a garden centre. As they are flowering now you could snip a little bit off and compare it with what is in the garden centres. Thank you for your reply’s.